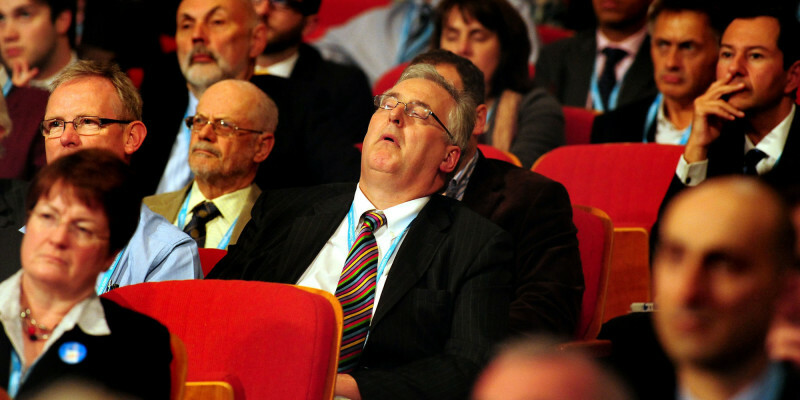 We’ve now safely navigated party conference season. There were few controversies, so too were there few great policy announcements. However, under the usual bluster and spin, quite a few important pieces of economic and financial policy were discussed. Here is a roundup of the two major parties’ most important conference statements on pensions, tax and inheritance. One of the main headlines from David Cameron’s speech at the Conservative Party Conference was the party’s commitment to the Lib Dems’ policy of the £1,750 increase in the personal tax allowance of UK citizens. In another big promise, Mr. Cameron announced the 40p tax rate threshold will see a large rise. Currently charged on incomes over £41,900, the Tory’s have now promised that the top rate of tax will only be taken on earnings over £50,000. The Chamber of Commerce reacted positively to these policies calling them “absolutely right”. Ed Balls, former Shadow Chancellor, was critical however, called the tax cuts “an unfunded commitment of over £7bn” and suggesting that VAT will have to rise again to make up the costs. Paul Johnson, Director of the Institute of Fiscal Studies also noted that the policies won’t help those earning over £100,000 or under £10,000. With a recently elected leader and shadow cabinet all still getting to know each other’s views, it is understandable that fewer concrete promises came from Labour’s party conference. What type of Government you will be voting to elect should you tick the labour box in four-and-a-half years will likely not become clear for at least another year of opposition. Their conference was more of an ideological mission statement than a list of things to expect from the next few years of oppositions. One overarching commitment however was to the rejection of Tory austerity. At this point all that is apparent is that Labour would tax corporations more in order to pay for more welfare. However, making firm, detailed policy promises this far from an election would put them in a vulnerable political position for little chance of political gain, so it is no wonder commitments were thin on the ground. In the Lib Dem camp, new Leader Tim Farron announced that his goal is to drive his party back into Government – most likely in another coalition. Like Mr. Corbyn, as a new leader, his speech was liable to be free from major commitments. Some were made however. Mr. Farron emphasised that the party remained committed to ridding the country of its budget deficit by 2017-18. This suggests the Lib Dems are likely to vote for some austerity measures – at least ones which they do not see as harming the rights of the worst off. This is an important commitment due to Labour and the SNP’s anti-austerity stance. Since David Cameron’s Conservative Party have only a small majority, they may well rely on Lib Dem support if they see any rebellions from within. To be advised on the effects of new and potential policies, get in touch with one of our Hertford Financial Advisors today. Call 01992 500 261 or email us at enquiries@gpfm.co.uk.